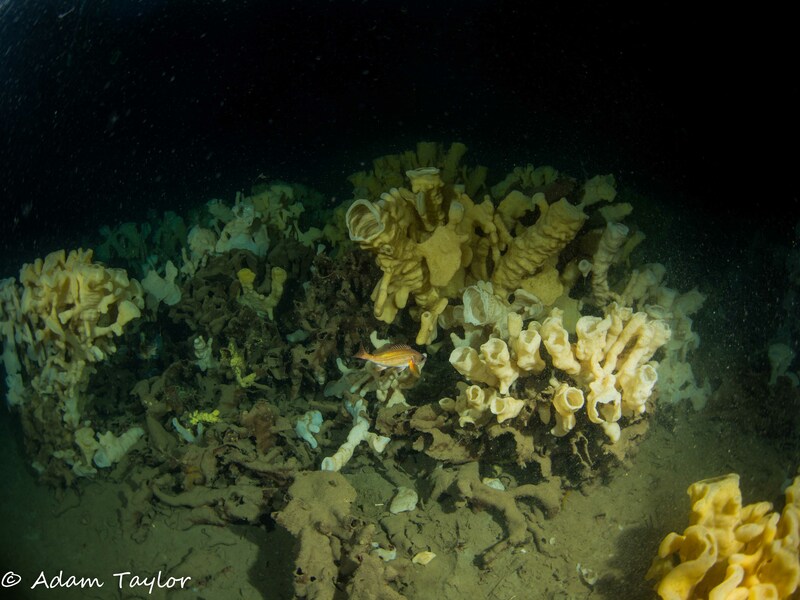 On October 4th, 2014, a large, and newly discovered glass sponge bioherm was found near Anvil Island by MLSS marine biologist Lena Clayton and Board Member Glen Dennison. Several hours of video imagery was recorded showing a massive glass sponge bed never before recorded. 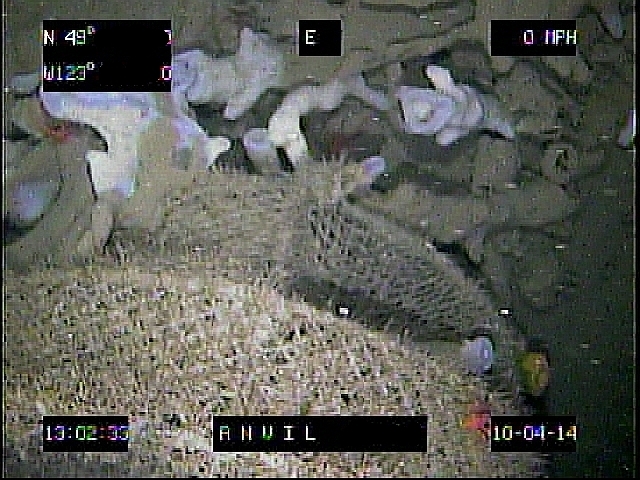 Sponges as large as several meters were recorded over an approximate 30 acre site. This is one of the largest bioherms discovered in Howe Sound to date. The site was located after high resolution 3D bathymetric maps of the bottom topography were generated, guiding a deep drop camera over 250 feet down above the sponge. This amazing discovery has been named the Clayton Bioherm. Clayton and Dennison observed: low numbers of rockfish, ghost prawn traps, and unidentified metal wreckage in the bioherm. The site was mapped by Dennison and Clayton over a several week period before running numerous video tracks over the site. Previous Post Warm Welcome by Orcas at Saturna!